Stock markets around the world bounced hard off their Christmas lows to give some respectability to what would have otherwise been another poor month for shares. Being overweight bonds came to the rescue in our tactical portfolios, in particular, our Income and Accumulation funds benefitted finishing up around 1% for the month. The Australian dollar also acted as a shock absorber over the month, falling by 3.6% vs the US dollar which cushioned losses on international holdings. Having said that, it was clearly not a uniform performance over the year – international shares boomed for most of the first 9 months and then busted for the last 3 months. 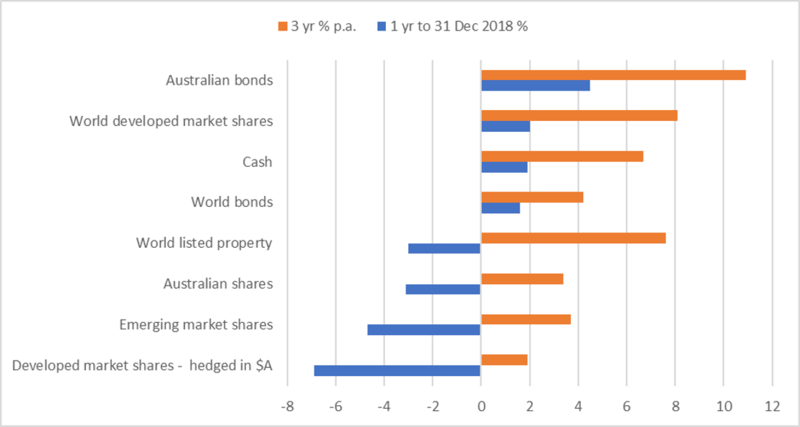 We wound back our exposure to international shares as the year progressed (although not as much as hindsight would have preferred), and so continue to sit on a substantial cash and bond balance. While we added a little to our share exposure when markets fell at the end of 2018, we have been taking profits as share markets have recovered. Often the worst performing asset class of one year is one of the best in the next year. 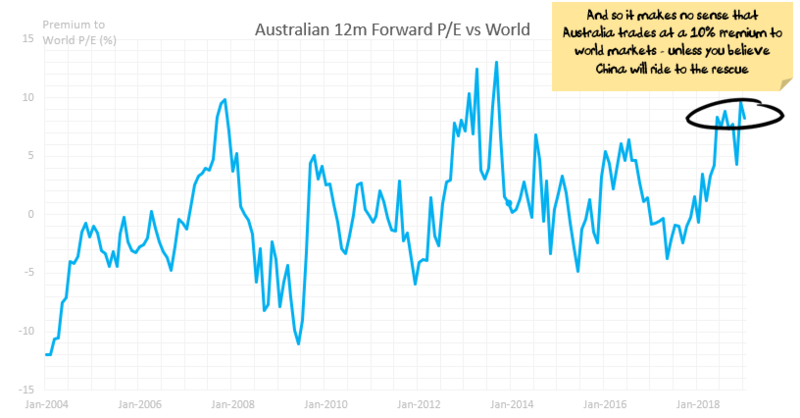 We are not expecting this to be the case for Australian shares. The Australian share market starts the year facing a falling housing market, some of the weakest profit growth in the developed world, some of the highest interest rates in the developed world, growth slowing in (key customer) China and one of the most expensive share markets in the world. China has more debt than before. And additional debt is less and less effective at producing growth. Net effect: China needs to incur far more debt than they ever have to produce far less growth. There is a question mark over China’s willingness to do this. We expect China probably will, but that economic conditions will need to worsen markedly before their hand is forced. Trade wars. China already runs a significant trade surplus with most countries. With tariffs, trade wars and a slow global economy there is downside risk to Chinese industrial production. i.e. there are other parts of the Chinese economy that will be competing with infrastructure for government stimulus, and these parts of the economy don’t use anywhere near as many Australian commodities. China already spending a massive amount on capital expenditure. There is scope for China to grow its infrastructure spending, but the key driver of much of China’s growth is home building which is already running at close to record levels. This limits the growth possible. 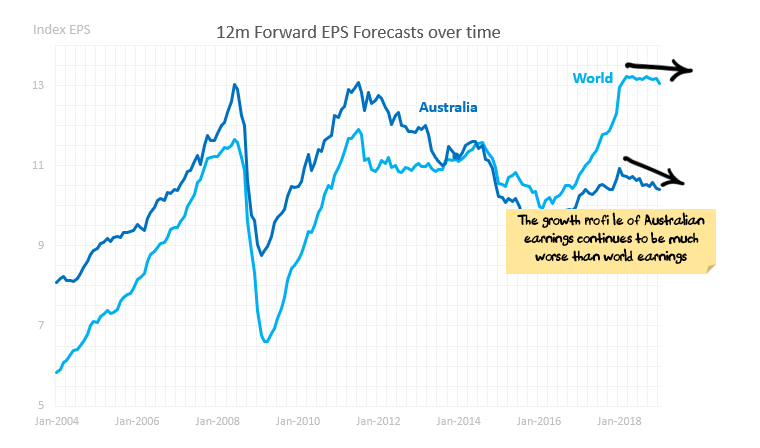 With those points in mind, and Australian stocks seemingly already pricing in a China bailout, we are opting to invest elsewhere. 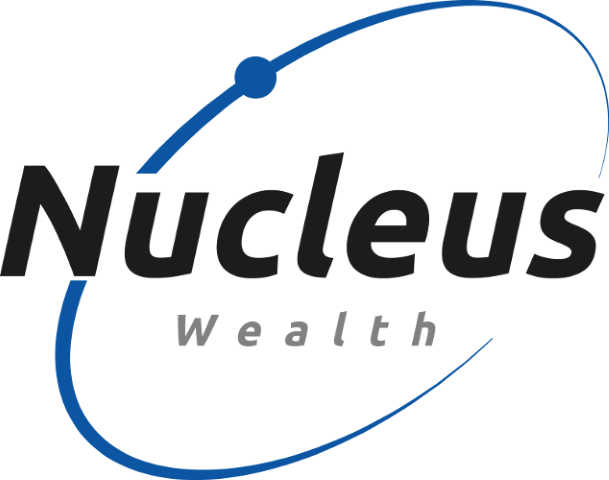 All of our portfolios are at, or close to minimum weights for Australian stocks. China has serious longer-term economic issues that we have discussed on numerous occasions. China is running a Gerschenkron economic growth model, which has been run by many countries in the last 50 years including Russia, Japan, Cuba, South Korea and a number of Latin American countries. This growth model works for countries that have been underinvested. By repressing consumption, these countries can increase savings and investment and then, for a period of time, generate growth that more than makes up for the repressed consumption. When the investment stops generating adequate returns, the debt burden begins to grow and the country needs to change its growth model or go through a debt crisis. China is at the debt accumulation stage where the debt burden needs to grow significantly to maintain growth. This is not an imminent issue but it is clearly unsustainable. The problems have been getting worse in recent years. China has made several attempts to rebalance its economy away from capex driven growth. Each time China has slowed sharply enough that the attempts to rebalance have been abandoned. Growth is slowing in China despite record home building. There is scope for China to grow its infrastructure spending, but the key driver of much of China’s growth is home building which is already running at elevated levels. The US/China trade war is exacerbating the problem. Tariffs get the most headlines but in our view, the concerted and relentless release of hacking stories across multiple countries is likely to be more damaging in the long term as companies in developed markets shift structurally away from incorporating Chinese technology. China also has a number of other constraints. Cutting interest rates and reducing the currency might spark capital outflows and further US sanctions. Question 1: Can a weak stock market prompt Trump to make a trade deal with China? Yes is the short answer. However, it is unlikely to be an all-encompassing fix to the issues between China and other countries. Cancelling a few tariffs will not solve China’s trade issues and trade is not the only consideration in the growth issues facing China. Question 2: Does weaker Chinese growth mean a bigger Chinese government spending package is coming, and a weaker global growth outlook mean that it is coming sooner? Markets are certainly pricing it this way. The iron ore stocks, in particular, have reacted to poor Chinese growth numbers by outperforming rather than underperforming – seemingly pricing in the expectation that China will need major stimulus yet again. Question 3: Does a weak stock market suggest another “Shanghai accord” is likely? In 2015 China went through a similar period of weak growth, stock markets declined and the oil price plunged. The situation ended with the US Fed pausing its upgrades and the US dollar stopped rising. The rumour is that a secret deal was made between central banks at a meeting in Shanghai to limit the USD which would give room for China to stimulate its economy. Given the trade tensions and a US economy growing quickly, this did not look likely 3 months ago. Fast forward to today and a deal is now more possible. December saw almost 75% of our international shares in retreat. Notable detractors were J&J with an asbestos in talc scare and Apple on reports its revenue was to slow. Performers in December were the more defensive food & drug sectors as well as the energy plays. On a calendar 2018 basis, it was the Chip manufacturers that had a huge share price correction in the expectation of falling demand. On a full year basis this thematic also proved true with the exception of Microsoft that bucked the trend of underperforming Technology stocks. Our portfolios to date have been out-performing and taking less risk. The disclaimer is that they have only been running for 18 months, and that is not enough time to make definitive judgements.